ArborVitae Environmental Services Ltd. wants to help you maintain your privacy on the Internet. Because your privacy is important to us, ArborVitae Environmental Services Ltd. by displaying this privacy statement will operate by the following principles. 1) ArborVitae Environmental Services Ltd. will explicitly ask when they need information that personally identifies you or allows us to contact you ("Personal Information"). Generally, this information is requested only when registering for a particular service. When possible, ArborVitae Environmental Services Ltd. will provide you with the means to make sure that your Personal Information is correct and current. 2) ArborVitae Environmental Services Ltd. will use your Personal Information to operate the site and services and to inform you of new features, services, and products from ArborVitae Environmental Services Ltd. and its affiliates. 3) ArborVitae Environmental Services Ltd. sites that are primarily directed at children will not use Personal Information for a secondary use without obtaining the consent of a parent or guardian. When possible, ArborVitae Environmental Services Ltd. will provide e-mail notice to parents that children have provided personal information to the site. 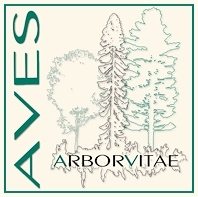 4) ArborVitae Environmental Services Ltd. may disclose Personal Information if required to do so by law or in the good-faith belief that such action is necessary to (a) conform to the edicts of the law or comply with legal process served on ArborVitae Environmental Services Ltd. or the site; (b) protect and defend the rights or property of ArborVitae Environmental Services Ltd., the site or the users of ArborVitae Environmental Services Ltd., and (c) act under exigent circumstances to protect the personal safety of users of ArborVitae Environmental Services Ltd., or the public. 5) If at any time you believe that ArborVitae Environmental Services Ltd. has not adhered to these principles, please notify ArborVitae Environmental Services Ltd. by e-mail at mailto:info@avesltd.ca and we will use all commercially reasonable efforts to promptly determine and correct the problem. 6) To protect your online privacy, ArborVitae Environmental Services Ltd. will not rent or sell your e-mail address to any third parties. ArborVitae Environmental Services Ltd. is committed to maintaining its position as a premier site on the Internet. As our site continues to develop, we may add new services and features to our website. In the event that these additions affect our Privacy Statement, this document will be updated appropriately.